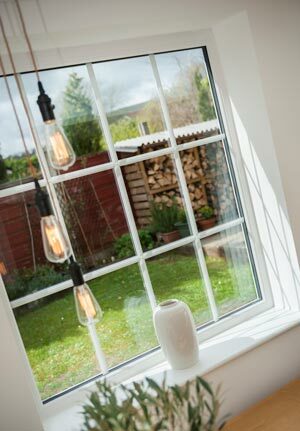 This made to measure A energy rated upvc window is supplied with Pilkington K soft coat low E 28mm glass achieving a u value of 1.3 W/m² K. The 70mm thermal efficient multi chamber frame system has ultra slim sight lines, clean and modern aesthetics with low maintenance and is guaranteed not to discolour, warp or peel and internally beaded for maximum security. Compliant with Part L Building Regulations. High performance (patented) double-action ‘bubble’ gaskets maintain tight weather seals. 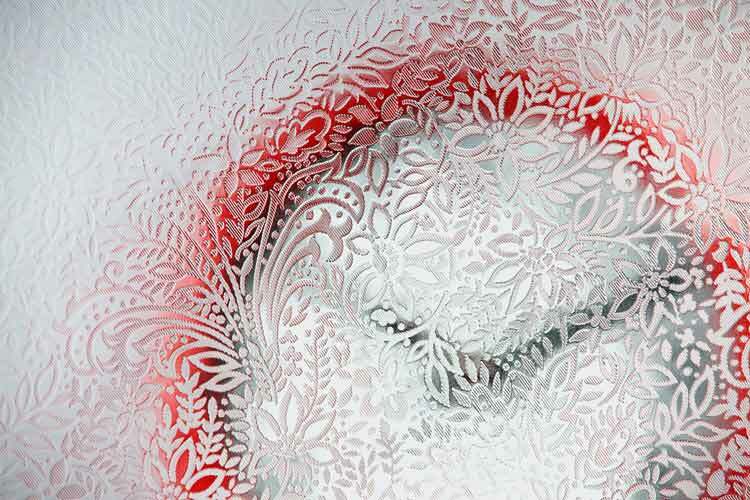 Unique ‘glazing flipper’ reduces cold transfer, water ingress and noise pollution. 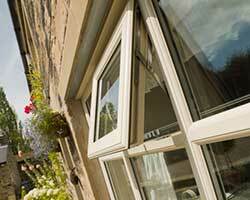 All window frames are made to measure. 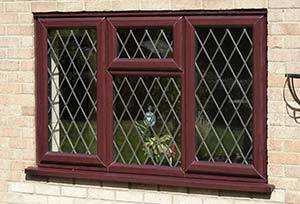 Sizes stated should be the overall frame size including any cill and frame extensions (if required). All dimensions to be supplied in Metric. All frame styles are viewed from outside. 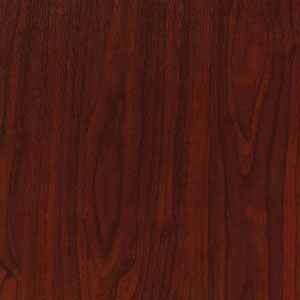 We do not make any fitting allowances on the sizes you provide. The size you state will be the size we manufacture. 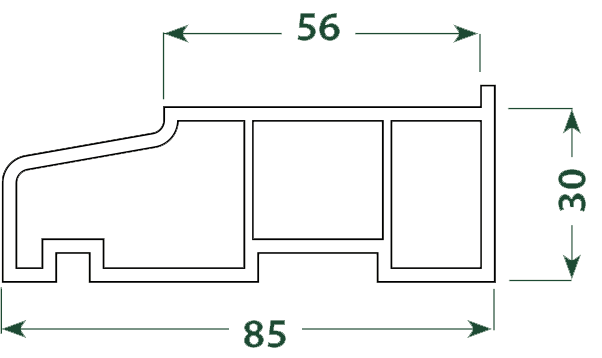 All external cills are 30mm high and will need to be included in the overall height. 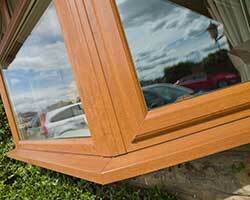 The stub cill protrudes just 15mm from the external window frame. The most common and standard cill size covers most applications. Protrudes 80mm from the external window frame. 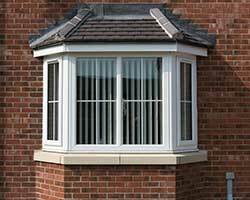 If your windows are set further back into the brickwork then you may require the oversized cill which protrudes 110mm from the window frame. 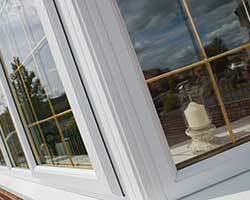 A frame extender allows you to increase the thickness of the window frame. 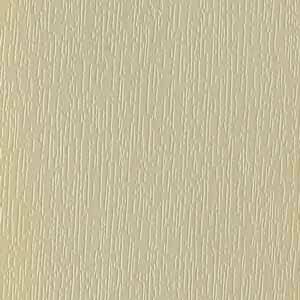 Useful for properties with deep plaster, render or tiles. 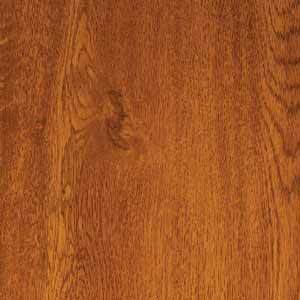 10mm, 20mm and 50mm extensions are available. 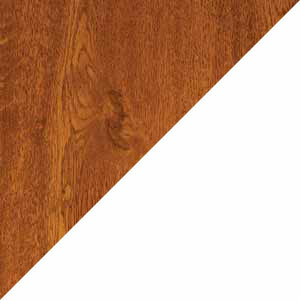 Remember, if you require any extensions, these need to be included in the overall dimensions. 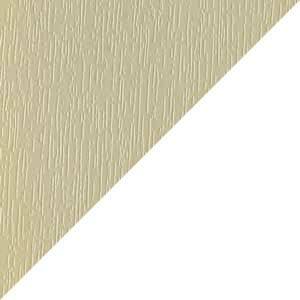 Windows are available in white, coloured woodgrain effect upvc both sides or coloured outside and white inside. 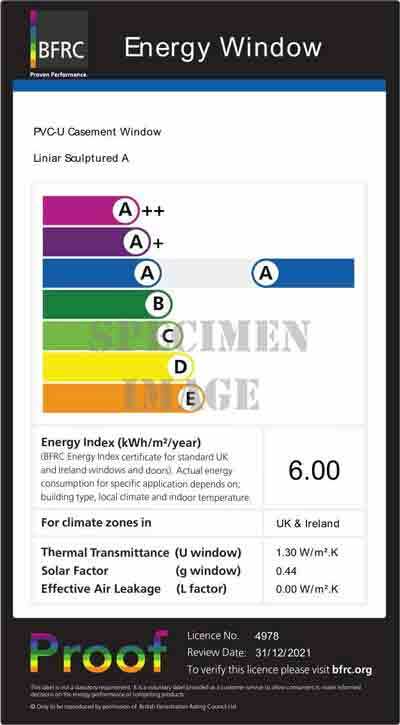 The Window Energy Rating (WER) tells you how energy-efficient the windows are. 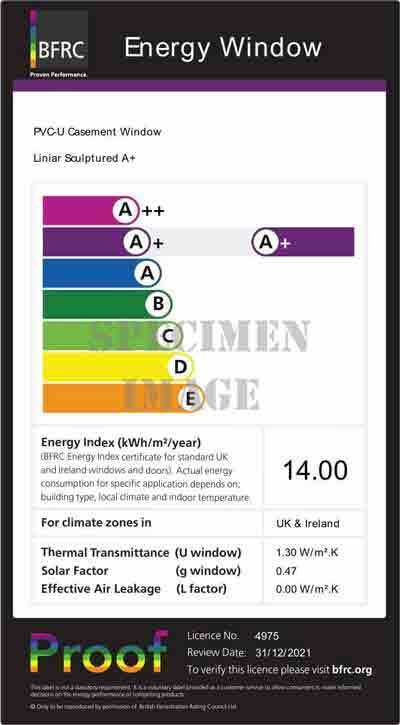 The rating system is based on a scale of G to A+, with A+ windows being the most energy-efficient. Toughened glass is upto 5 times as strong as ordinary glass. Toughened safety glass should be fitted in all windows or glazed areas that are lower than 800mm from the floor level. 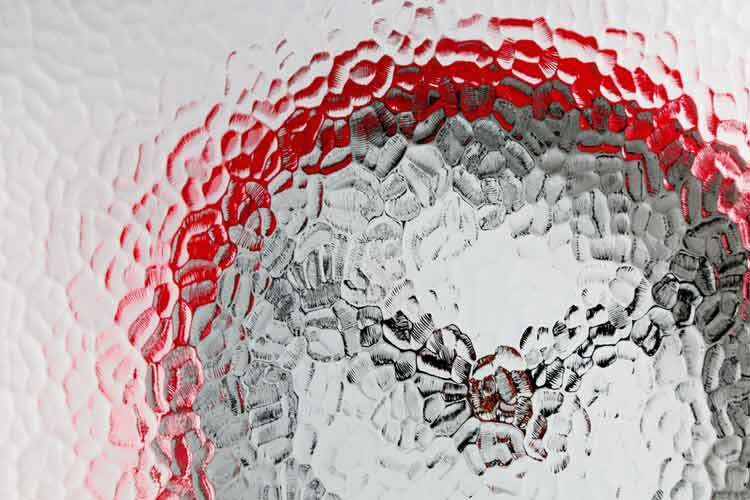 Laminated glass consists of two pieces of glass containing a sandwich of plastic interlayer. Offering additional protection as the glass cannot be broken into. It's the same glass found in car windscreens and shop fronts. We offer an array of decorative Georgian Bar designs. 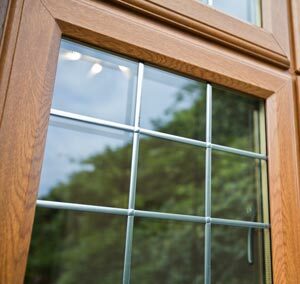 The internal bars are fitted within the sealed unit and 18mm thick as standard, available in our extensive range of colours to match the window frame profile. 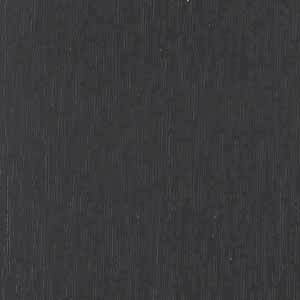 We offer 9mm decorative square lead on the external pane of glass. We offer 9mm decorative diamond lead on the external pane of glass.  Locking window handles are available in white, gold, chrome, satin silver or black and supplied with a key. As standard, all windows are fitted with stainless steel friction stays allowing the window to stay open in the required position. Fire escape hinges or egress hinges for emergency exit requirements allow the window to open 90 degrees. Available on side hung windows only. Restricted window hinges restrict the window opening to a maximum of 100mm to provide child safety. The windows can be opened fully by the press of a button. 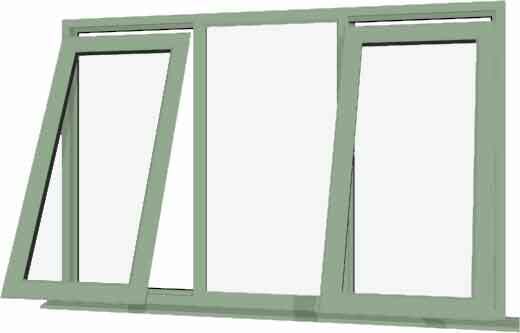 Available on both side and top hung windows. 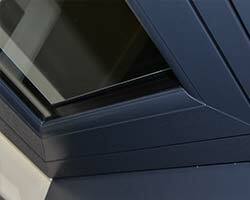 Easy clean friction stays combine emergency exit requirements with an easy clean feature to access the outside of the window easier. Available for side hung windows only. 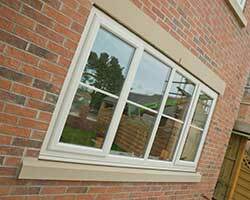 As standard, windows are fitted with dual action espag roller cams providing a high security locking system. 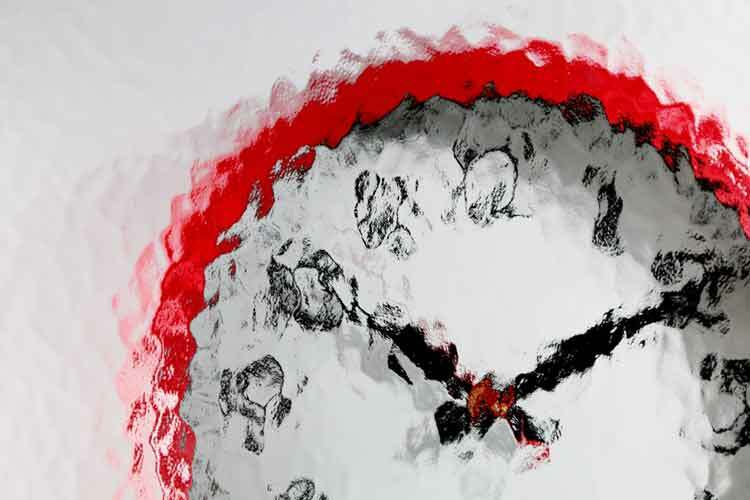 The optional shootbolt locking system provides exceptional security using a combination of steel roller cams and shootbolts and is guaranteed against mechanical failure for 10 years. Trickle vents allow you to control ventilation and air circulation, helping to reduce condensation and mould. 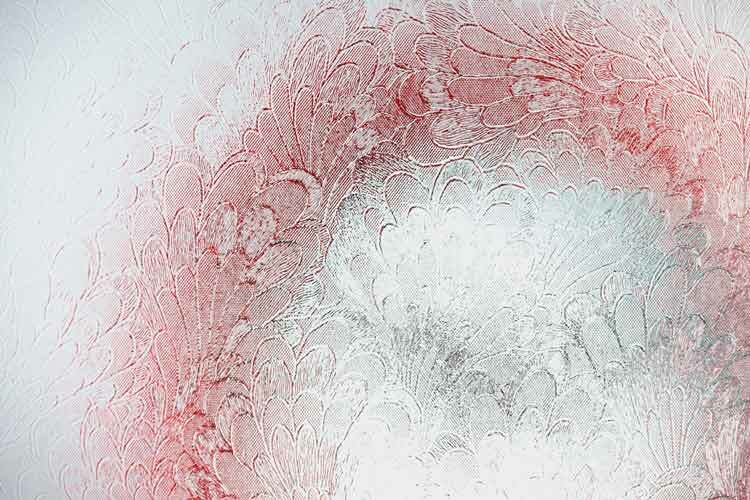 They provide you with a small amount of fresh air into the building without letting a lot of heat escape. 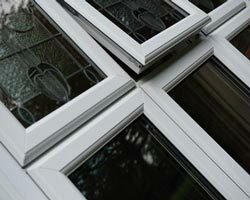 If the current windows have trickle vents fitted, then the new replacement windows must also be fitted with trickle vents.  All new build properties and extensions are required to have adequate background ventilation whether this is by window trickle vents, purge ventilation or extraction. 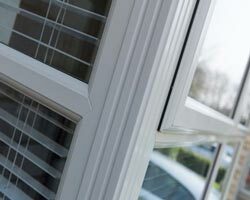 The installation pack includes a selection of universal frame and glazing packers, large 120mm self tapping frame screws (no rawl plugs required) and self tapping cill screws. 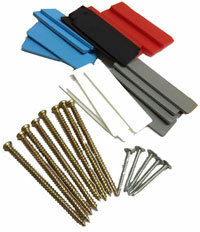 Fixing screws for extension pieces will also be supplied if required.